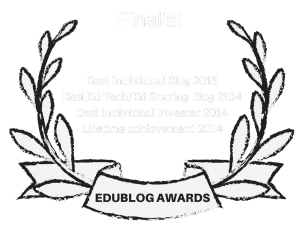 Carol Salva is a high school teacher of English Language Learners in Texas. Her name may be familiar to regular readers of this blog since I often share her work. 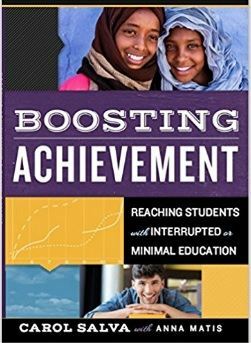 She, along with educator Anna Matis, has authored a new and important book, Boosting Achievement: Reaching Students With Interrupted Or Minimal Education. It offers great advice to teachers of English Language Learners. I don’t know about you, but my track record of success with unaccompanied minors who are refugees from Central America is not stellar, so I’m looking forward to learning all I can from this new resources. 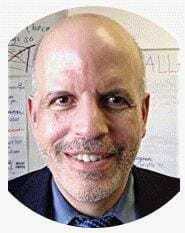 When talking about growth mindset, another point to consider is not only the expectations we have of our SIFE (Students With Interrupted Formal Education) and under-schooled students, but how we regard them as new, diverse, and interesting additions to our classroom makeup and school community, much like we would international exchange students. Research on best practices of culturally responsive teaching is a fairly new area in the field of education. It is understandable that many educators may have concerns and apprehension about teaching and supporting students who are SIFE in their classrooms. When teachers integrate culturally responsive approaches with such students, they find there is nothing to fear. Instead, they have the opportunity to help integrate these students into our culture and come to view the students as a benefit and treasure for enlightening native English speakers. Newcomers, including the SIFE newcomer, can bring the class exposure to other languages, cultures, and perspective, that deepens learning for everyone. Acceptance and understanding of an array of different cultural and community perspectives. Prospective employers in almost every field that look favorably upon knowledge obtained in other languages and cultures. Increased pressure to communicate and relate to others that develop an awareness of group dynamics and personal sensitivity towards others. Parents and educators want to grow global learners that are well prepared for the 21st century workplace. Is it any wonder that people go to great lengths to give their children experiences with foreign exchange students? How is this different from our international newcomers, many of whom are SIFE, being in our classrooms? I have seen many of these benefits play out among my SIFE students and more that I am adding to my own list. For example, my students are an excellent example of appreciation for education. When I heard a mainstream middle school student say he was “inspired by how much the refugees are learning and doing”, I realized that something special was going on.